Whether you are bargaining for a price with a supplier or trying to acquire an interesting firm, business does not exist without negotiation. To be an effective manager or entrepreneur, it is crucial to know the tricks in negotiation and persuasion. Even though the success of effective negotiators are often ascribed to traits people seem to be born with (e.g. charisma and eloquence), one must realize that negotiation is both an art and a science. Negotiation and persuasion, in other words, are governed by basic principles that can be taught, learnt and applied. The following five negotiation strategies will definitely help you become a more effective negotiator. Negotiators often focus too much on ‘winning’ with negative consequences. It is extremely useful to generate a list of interests of both parties and figure out how these could be fulfilled in a way that both parties would be satisfied. The classic story goes as follows: two brothers fight for the last orange at home. After lengthy discussions where each one argued why they should be the one to get the orange, they finally decided to split it and get half each. One brother makes orange juice and throws the peel away. The other uses the peel of his half to bake an orange cake and throws the inside of the orange in the bin. If you are not clear about what interests lie behind each position, it’s hard to invent creative solutions which could lead to mutual gain. Although some negotiations are indeed with a fixed pie – more for you is less for me – in most real-life scenarios people value similar things differently, which opens possibilities to negotiate better deals. Emphasizing objective criteria is a good idea for most negotiations. On the one hand, you stand to gain in credibility by establishing that you are interested in a fair distribution of resources. On the other hand, it makes it easier to think of alternative and creative solutions for mutual gain, as suggested in the point above. Finally, it is useful in a negotiating environment to clarify not only what you want but also why you think it is fair. One way you could do this is to separate the totality of the resources into two piles and agree on the distribution before you assign who gets which part. A possible example is a rule often used by parents to solve disputes between brothers. Suppose at home there is only one slice left of chocolate cake to divide between both siblings. If the mother says ‘one of you splits the slice of cake in two pieces, the other one picks first’, the issue should be resolved soon. The perception of fairness (method defined before allocating outcome) and correct incentives lead the brother in charge of splitting the slice of cake as equally as possible, since he is picking last. Similar strategies are sometimes used when distributing inheritance among relatives – first, the patrimony is divided into groups of similar value; only then, people decide who gets which portion. Perhaps the most effective way to face a negotiation is to embrace a cooperative spirit and communicate that you must work together to find the best deal for both parties. In the heat of the moment, negotiators often forget that they are not dealing with abstract entities, but with human beings on the other side. People easily get offended, frustrated, angry, hostile and have egos that are easily threatened. And when that happens, the negotiations are much more likely to reach undesirable outcomes, ranging from stalemate of positions to hatred and yelling. In practice, every negotiation consists of at least two issues: the substance of the agreement and the personal relationship between the negotiators. Negotiators who can separate both issues are more likely to be successful. By recognizing the other party’s point of view, refusing to blame them for any outcome and allowing them to save face, one could easily improve the chances of success. One possible strategy to enhance cooperativeness is to give the other party a stake in the outcome by including them in the process – agreement comes much easier if both parties feel ownership of the ideas. When negotiating with other parties, it is rarely the case where only one topic is subject of negotiation. 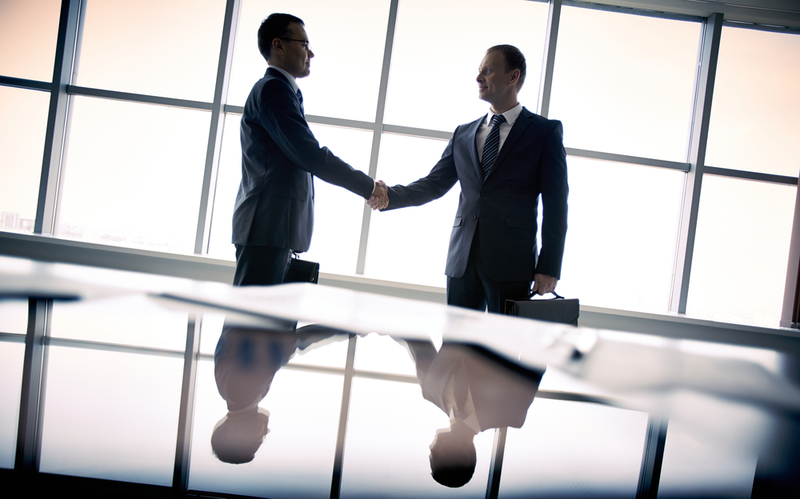 Effective negotiators bundle all issues together and make decisions on them as a whole. Although this seems rather simple, more often than not people have a number of items they wish to discuss but instead of looking at them all as trade-offs, they go over them one by one, reinforcing adversarial positions in each of them. Think of a regular business agreement, where two business owners have to decide on the product to be provided, time frame, support, price, payment deadlines, etc. It can be rather valuable for a negotiator to ask the other party which are the top 3 most relevant issues for them. Frequently, these will not match exactly with the ones regarded as top 3 by the first negotiator. By communicating these differences in relevance, beneficial conditions can arise for both parties. Human beings are more averse to losses than they are motivated by gains, of similar relevance. Often, by framing the situation stressing the possible loss of the counterpart, negotiators may be able to influence other’s thought process and actions. Two additional strategies could also be used to increase the pressure on the other side to give in to some of your demands and reach an agreement. The first one is rather intuitive but often forgotten – if you have a stronger BATNA (Best Alternative To Negotiated Agreement) than the other side, then you should disclose it. Frame it not as a threat, but as a fact; if you don’t reach an agreement, you will be better off. If, they have a stronger BATNA, avoid the topic. The second strategy is to be the first party to build a draft of the agreement. If you are able to do this, you may benefit from a first-mover advantage. Once you set the conditions (which should be favorable to you), then the basis of the negotiation is bent in your favor. Be careful not to overdo it though, because if the draft is too favorable to you, the other side may dismiss it completely, yielding not much benefit at all. Fisher, R., Ury, W., & Patton, B. (1987). Getting to Yes. Simon & Schuster Sound Ideas.